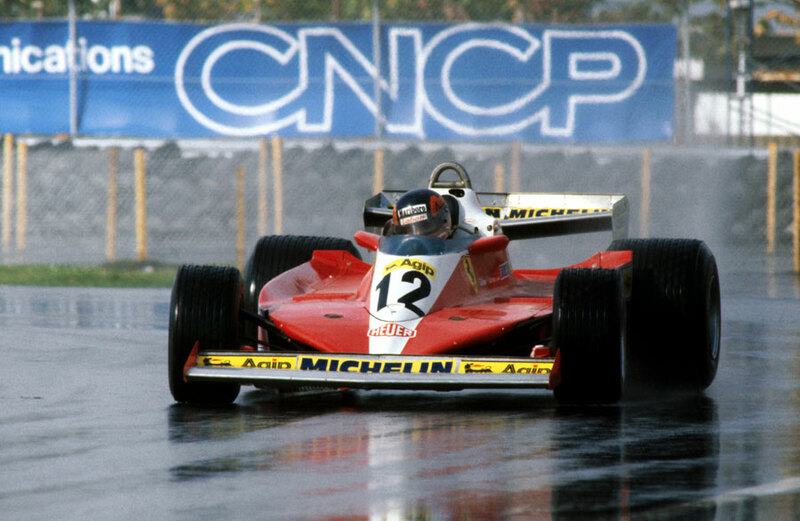 Gilles Villeneuve, the 28-year-old Canadian who had been creating a storm since his F1 debut 15 months earlier, won his home grand prix and did so in style. The race had been switched from its traditional home at Mosport to a new venue, the Ile de Notre Dame circuit (later named after Villeneuve) in Montreal. Many drivers were deeply unhappy with the circuit, several claiming its tight and slow layout had been almost custom-built for Villeneuve and Ferrari. "It wouldn't surprise me if he designed it himself," fumed world champion Mario Andretti. "It's worse than Monaco for passing." Their suspicions were fuelled when it emerged Villeneuve had been approached by local officials and asked if the track could be named after him. He politely declined, although it was re-named in his honour after his death in 1982. Villeneuve was according rock star status by the local media and public, further annoying many of his rivals, but it was great box office and the crowd of 72,632 broke all Canadian records. However, it was Jean-Pierre Jarier, the replacement for Ronnie Peterson at Lotus, who qualified on pole, while Andretti for once found himself languishing in the midfield. Villeneuve was on the second row. Jarier stormed into an early lead, and by the halfway point led by 36 seconds from Villeneuve, who had slipped back to fourth at the start but had battled past Alan Jones and Jody Scheckter. But on the 49th lap his Lotus developed an oil leak and spluttered to a halt, allowing Villeneuve to move to the front. He eventually finished 13 seconds ahead of Scheckter with Carlos Reutemann a further six seconds adrift in third. Andretti ended his season way back in ninth, while James Hunt's last outing for McLaren was ended by a suspension problem which left him skidding into a muddy field. Niki Lauda, making his 100th grand prix appearance, also had a forgettable day as braking problems forced his retirement after five laps. Less than a fortnight after the last race a sad season had another pall cast over it when it was announced that 29-year-old Gunnar Nilsson had died of the cancer which had only been diagnosed at the start of the year.